Even as a creative person, I still struggle at times with the blank canvas. I look at other artists’ works and usually sit back in awe. Not just at their quality of work, but how did they come up with that idea? Who would’ve thunk it? Really? 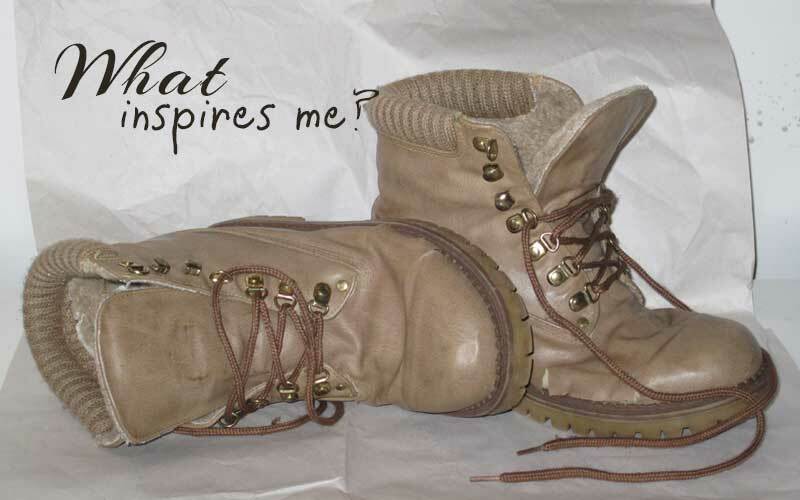 The picture above is a picture of my old snow boots. I went to put them on the first snow of the year, a couple of years ago, and noticed that my little toe was feeling a little drafty. Holes in my favorite boots. Off they came and put over in the corner, where they stayed for quite awhile. Then one day, I looked over and was overcome with the giggles. 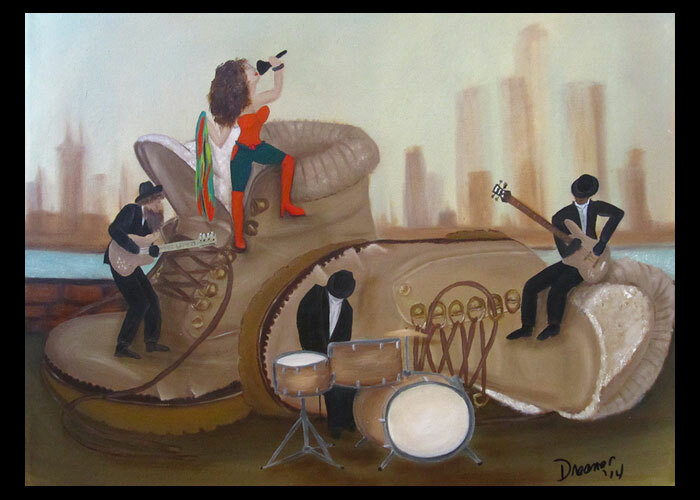 What if I painted those faithful boots with with a miniature rock n roll band dancing on them. Hence…. How Does an Artist Find Inspiration? As you can see, it comes from old shoes, giggles, imagination and whatever else is within reach. I can’t say that flowers inspire me, but there are times when I paint flowers. I’m not a shoe person (the clogs I have on now have chocolate syrup on them), but I love painting shoes and boots. Especially when I can be whimsical.